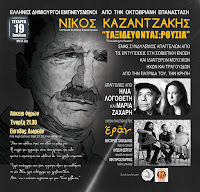 Nikos Kazantzakis is one of the most famous Greek authors – you probably know his outstanding book “Zorba the Greek”. “Travelling to Russia” is the author’s impressions on the October Revolution, as he stayed in the Soviet Union for two years between 1925-1930. 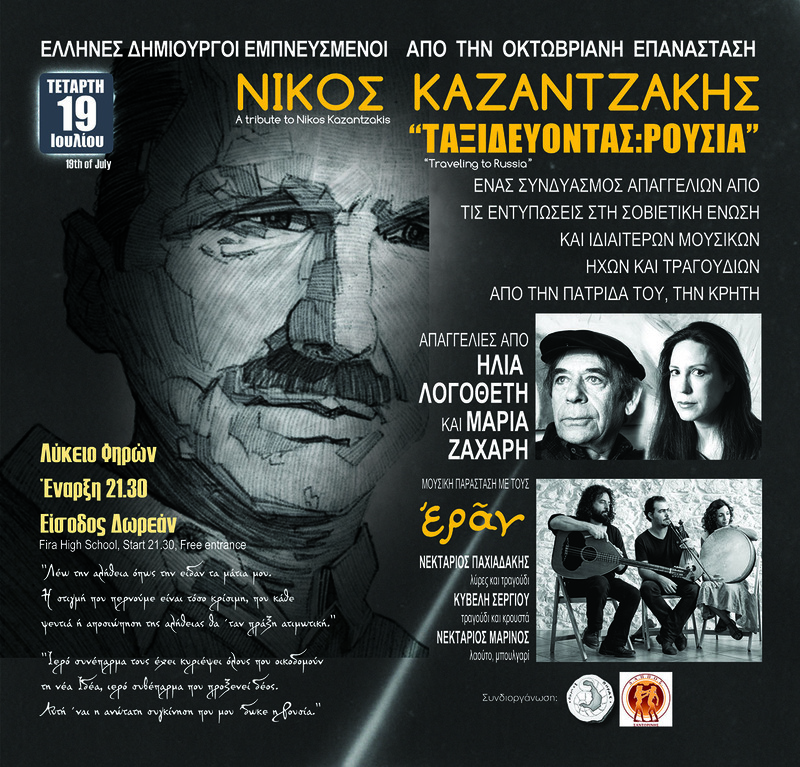 This book is put on a play, accompanied with Cretan music. At Senior High School, in Fira, at 21.30. Free entrance.